Hey, friends! 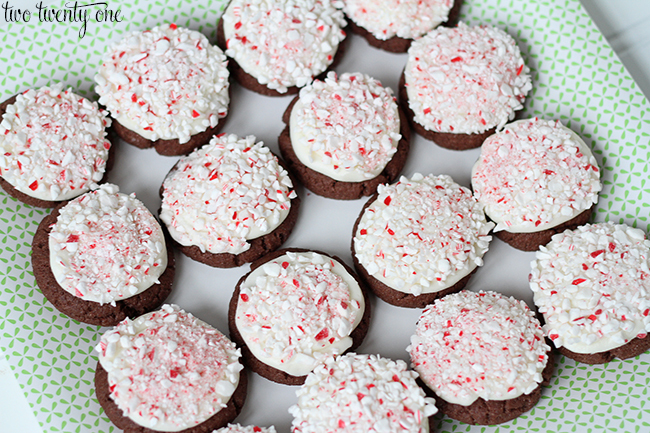 Today I’m sharing a delicious and easy recipe with you– peppermint chocolate cookies! I made and shared the same recipe last year, but I made sandwich cookies. While that recipe was tasty, it only yielded half the amount of cookies since you need two cookies to make a cookie sandwich. So this is recipe is just another take on that recipe. I must say that these cookies are super easy to make. You can make them pretty quickly too. It took me only about an hour from start to finish. While making these, I perfected my crushed candy cane topping technique. I piped the icing on with a decorating bag (you can use a plastic zippered bag if you don’t have decorating bags on hand) and dunked the icing in a bowl of the crushed candy canes. Not gonna lie– I may have exclaimed “Eureka!” to myself when I figured this out. It doesn’t take much, folks. As usual, I plated up most of the cookies and sent them to work with Brad. I can’t have these bad boys in our house or I will eat all of them. I repeat, all.of.them. Here’s your printable 4×6 recipe card. Click on the card to save/download the card. yeah these look, really good. yum. My mouth is watering! These look amazing! I’m definitely going to try this recipe! Welp, I know what I’m baking (and eating) this weekend. Thanks for the recipe! These look super tasty. You deliver, right? 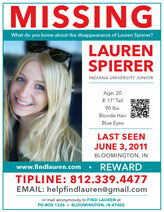 Check you out with your printable recipe card! Cute! I love how these cookies look! I wanted you to know that I made the frosting for my brownies. 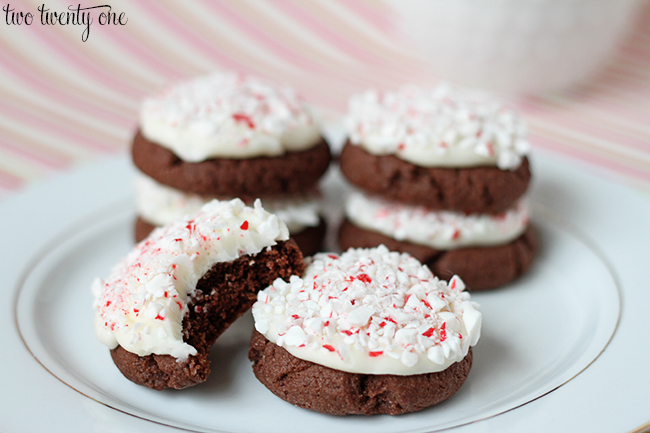 I added the crushed candy canes on top and they were a huge hit! The frosting isn’t overwhelmingly minty, which I love. Thanks so much for the recipe. Wow these are so pretty and look absolutely delicious. 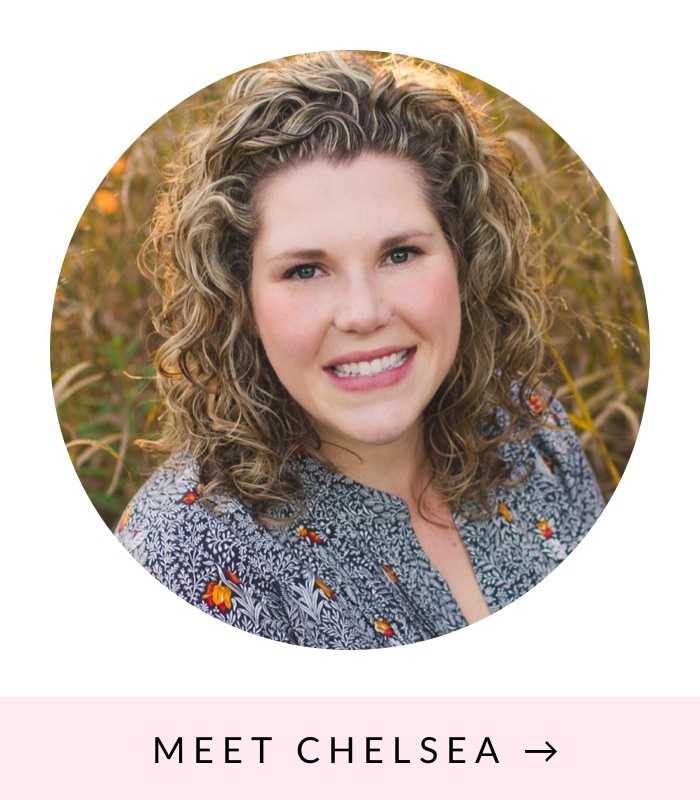 Guest cohost stopping by from the Motivation Monday link up, thanks for linking up! Yum! These look and I am sure smell divine! I will pin this to our HoHoHo! Pinterest Board and look forward to making them this Holiday Season! They do! Thank you so much! Happy holidays! Yes! That’s why I love them! 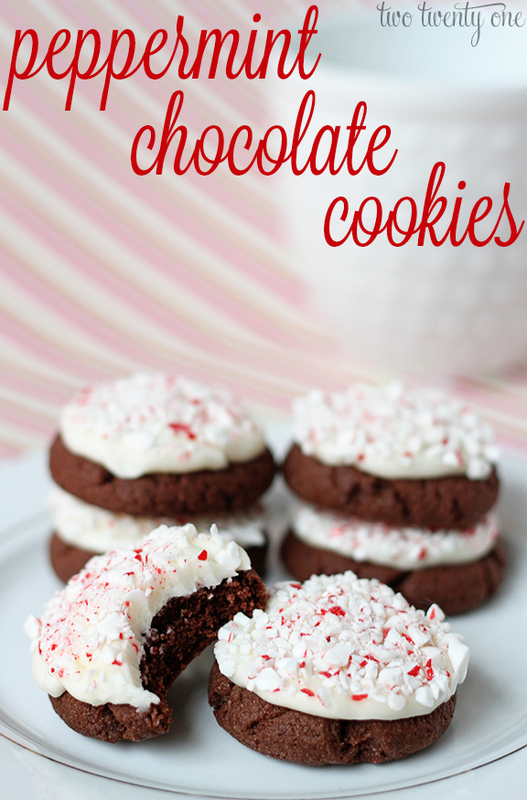 Hi, Chelsea ~ These look so yummy, and they’re fun and festive! I’m pinning these so that I can add them to our cookie baking day. Thanks for sharing with us a the Merry Monday Link Party! Hope to see you again on Sunday night! Thank you so much! Definitely! Yum! These look delish! 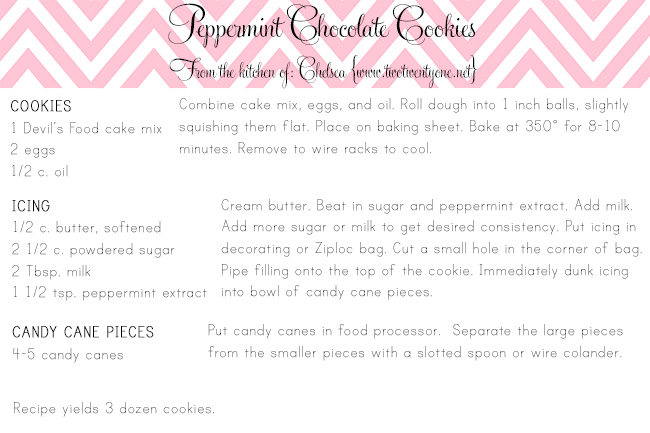 I am definitely on a peppermint kick, so I will be adding these to my list of cookies to make for the holidays! Thank you! They are definitely a must-try. Happy holidays! Wow, those look good. Thanks for posting. Hello from Motivation Monday. I am wondering about storage for these, with the buttercream frosting, since I like to bake ahead. Do they need to be refrigerated? Can they be frozen? They are yummy! Thanks! I doubled the recipe and needed to add about 1 cup of flour (1/2 cup per recipe) in order to get the dough consistency. They tasted really good! Thanks very much! These look terrific and (n a despearte attempt to feel organized and together) I’ve pinned them for next year’s xmas party.